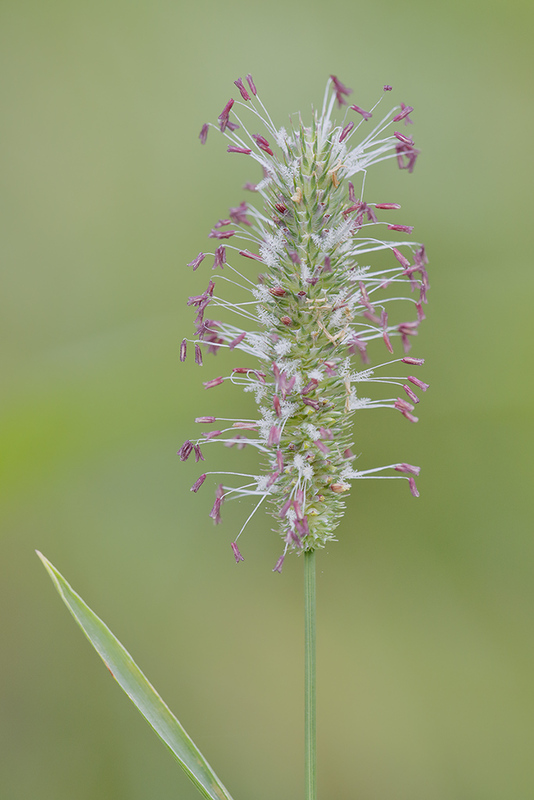 Timothy Grass flowering, though late in October. Looks like a bad hair day with its anthers going out in all directions. Left the blade of grass on left to balance the image. Canon DPP4, PSCC, Nik tonal contrast. Canvas slightly extended on top to make some room. Lots of attractive anther details - pretty. Great color, detail,, and bg. I like the comp. Very well photographed. Love the calm colors! Lovely. And thanks for the idea.